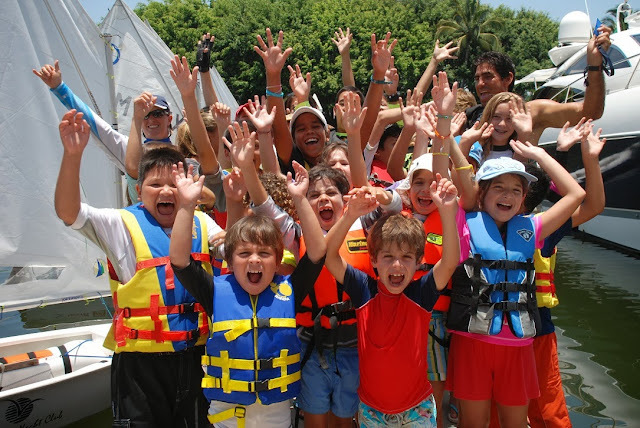 Vallarta Yacht Club is helping lower income kids with good grades and excellent conduct enjoy the gift of sailing. The Club—together with local businesses and other supporters—looks to create better citizens and athletes in Nayarit. The Vallarta Yacht Club (VYC) is extending an invitation to its fall fundraiser for the Youth Sailing Program. This year’s theme is a Cuban Festival and the event will take place on Saturday, November 23rd, starting at 6 p.m. as the first day of the Revolution Regatta comes to a close. This fundraiser happens twice a year, with the money going towards the VYC Youth Sailing Program. This event also includes amazing prizes for a raffle and an auction, generously donated by local businesses. It’s a wonderful opportunity to have a great time with friends, dance to the rhythm of the music and enjoy delicious food and drink, not to mention the chance to win fabulous prizes and help support future sailors, as well! The Riviera Nayarit Convention and Visitors Bureau (CVB) very much supports causes that promote the destination as a place that helps youngsters become athletes. The Youth Sailing Program includes scholarships that make it the largest source of future sailors in all of Mexico. Many of the nation’s top seeds in sailing originate from this institution. The program helps lower income kids with good grades and good behavior to make their sailing dreams come true and become professionals in the sport. The donations given by Nayarit’s businesses are fundamental to the program, not to mention the publicity it garners them. The media also has an open invitation to send in their printed publications for the VYC to distribute among the attendees. The VYC Youth Sailing Program is one of a few such programs in the country, as it does not require the students to provide their own sailing equipment. The donations and the money raised make the sport of sailing accessible for many. For more information please call (322) 297 22 22 or email office@vallartayachtclub.org and direct your inquiry to Rudy Trejo, VYC’s manager.